Fresh, fierce, and enlightening, All That Glitters is a find. The talented nonfiction writers in this collection invite us along on the complicated, sometimes scary, but irresistible pursuit of truth. Sliver of Stone magazine presents its first volume of collected nonfiction. 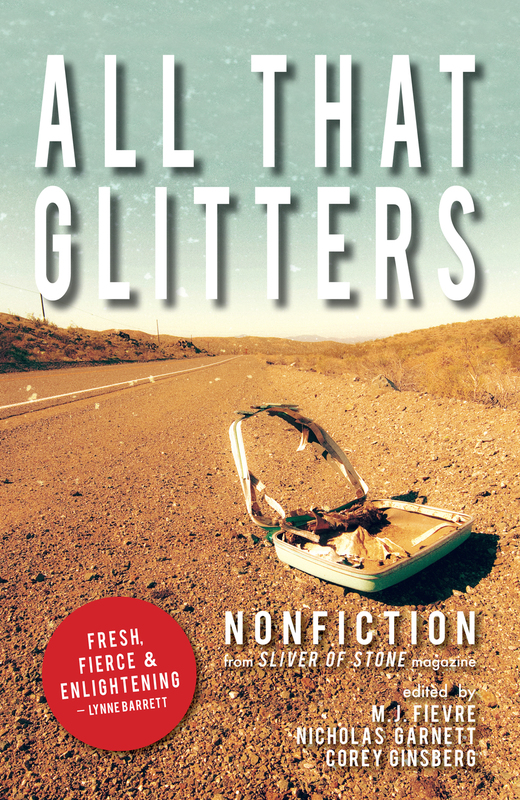 From the mouth of a Seattle whale to a Nordstrom’s swimsuit department, from an Idaho fundamentalist church to a fathomless Florida lake, the fifteen stories in ALL THAT GLITTERS recount lives and identities unsettled by impending doom. Also included are four remarkable interviews with award-winning nonfiction writers, including Susan Orlean, author of The Orchid Thief and Rin Tin Tin.